-Material: 100% skin-friendly paper straw braided material. Soft, breathable, comfortable and cool feel. -Brim Shape: Wide large floppy brim provides a perfect shade to your face and neck, help protecting from the sun’s harmful rays. -One size fits almost. Fit for head circumference up to 59cm/ 23.3 inch. 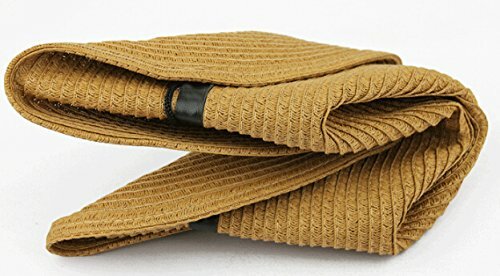 -Foldable or Not: Yes, it can be folded into a compact part, roll up floppy design, packable and crushable, easy to store in your beach tote or portable handbag. -Occasions: An essential accessory for outdoor travel/beach/holiday/camping/fishing/boating/hunting/cycling/shopping/photo show; Don’t miss it! Top quality skin-friendly paper straw braided material. Soft, comfortable, cool and breathable. Hand washing only. One size fits almost. Fit for head circumference up to 59cm/ 23.3 inch. 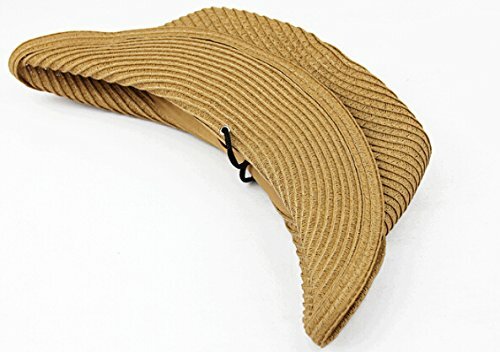 Lightweight Roll up foldable packable sun hat,ideal for men&teen boys wearing in Summer, Spring and Fall season. Easy to take and pack in your beach tote or portable handbag. Compact spacious design. Adjustable Cotton Chin Cord strap with a sliding bead?for comfortflexible fit, easy to control. 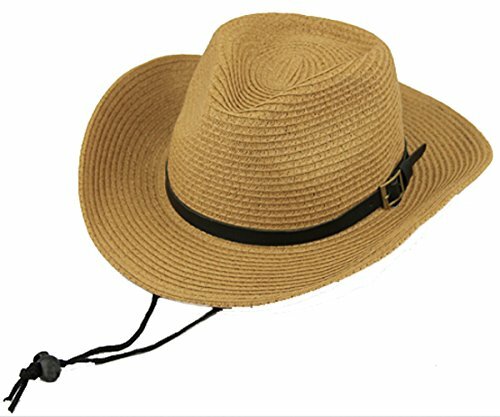 Excellent Sun UV Protection: Strong Anti-uv Function, UPF 50+; Wide large floppy brim provides a perfect shade to your face and neck, help protecting from the sun’s harmful rays. Keep healthy forever! 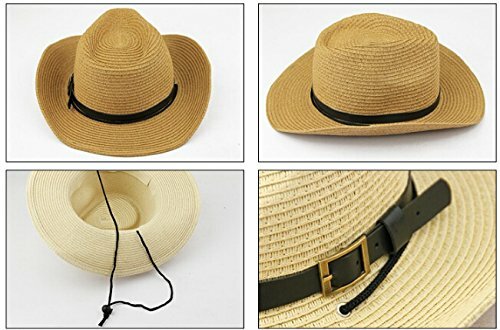 Multi-use hat: Not only a fashion sun protective straw hat,but also a nice classy cowsboy cap, fedora hat and party hat. An essential accessory for outdoor travel/beach/holiday/camping/fishing/cycling/shopping/photo/Party show; You can match this hat easily with your t-shirt,shorts/jeans/even a suit. You cannot miss it!